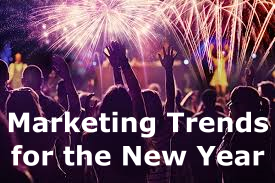 Watching the trends makes for good marketing research. Some of the trends for 2017 are prime opportunities for marketers to reach new markets and a host of new consumers. Trends are alive and well this year for economic areas such as financial planning, boomers and millennials, health care, energy, organics, and Facebook has hit the mother load. Growth areas for 2017 include social networking, discount retailers, IT and other technology related services such as virtual meetings, alternative fuels, environmental services and credit and debt management. Several businesses related to the foreclosure market will see opportunities in 2017 and the next few years. One type of service many realtors and other private individuals are providing is cleaning out foreclosed or abandoned homes and disposing of furniture and other items left in the homes. Boomers are getting ready to think about retirement representing one of the biggest wealth transfers in history. Boomers take credit for starting the green movement and are heavily emotionally attached to the eco trend. This group is still very interested in health care, financial planning is rapidly on the rise for this group, and travel. Millennials have heavy interests in anything in the social networking, marketing, and web-related areas, and have a heavy interest in promoting culture and community. This sector has been trendy for a number of years and is predicted to remain strong the upcoming year. Exercise, preventative medicines, organic and healthy foods, Wii Fit, plastic surgery and anti-aging are all trends that present a vast array of marketing opportunities. Green service providers will see growth in 2017 especially in the nonfood organics market and the clean energy sector. For lean energy, according to Entrepreneur Magazine, retrofitting and system maintenance are services that will experience growth. Nonfood organics include clothing, linens, household cleaners, pet food, and personal care items will experience a boom. Of all of the opportunities in 2017, social networking has to take the award for the most potential. Facebook, the online social network frequented by teenagers and young adults, is realizing a new market in the thirty-somethings. NBC’s The Today Show started the new year off by reporting how teenagers are having to deal with finding their mothers online at their favorite digital gathering place, Facebook. If you market to moms in their 30s, you might start looking to friend them on Facebook. Just don’t let their kids find out. If your target audiences fall into any of these areas, to be effective in reaching them, you have to follow them into the trends. Marketing opportunities can be found in 2017. It will require marketers to takes to look in a few nontraditional places to find them.